In this post we will be discussing about change tracking feature of Entity Framework Code First. 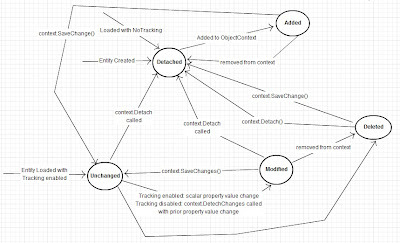 Change tracking allows Entity framework to keep track of all the changes in entities' data. It might involve adding new entities to entities collection or modifying or removing existing entities. These changes are kept at DbContext level. All changes are lost if they are not saved before destroying the DbContext instance. 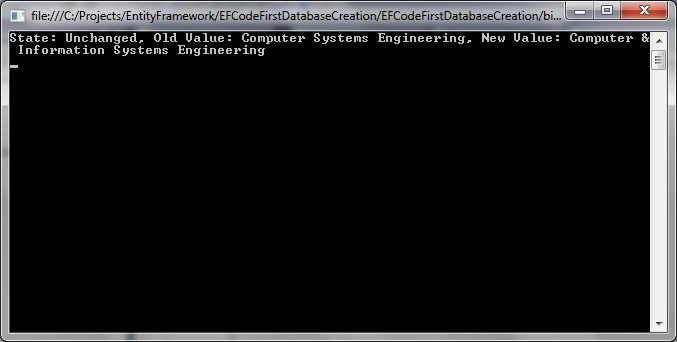 By default, Entity framework Code First registers all changes as the occur. When it's time to save those changes it just looks at this information and updates the database tables based on this registered information. Additionally, it keeps a snapshot of entities as they are loaded from Database or when they were last saved to the Database. This snapshot of entities and automatic change tracking are used to push the entities changes to the database. Automatic Change tracking is enabled by default. Disabling it would not trigger the DbContext update for each change in the entity. There are specific instances when DbContext would update the DbContext with the changes. This includes explicit call to SaveChanges() method of DbContext. Change tracking can be enabled / disabled by setting AutoDetectChangesEnabled to true / false respectively for DbContext. This ensures that all the changes involved with any entity in the context are tracked by the framework. The framework maintains the state of entities. It uses this to determine the changes needed to be pushed to database when SaveChanges() is called. Disabling change tracking would still allow us to check the old and current values of an entity but it would keep the state as UnChanged until the changes are detected. We need to manually call DetectChanges() on DbContext to update them. 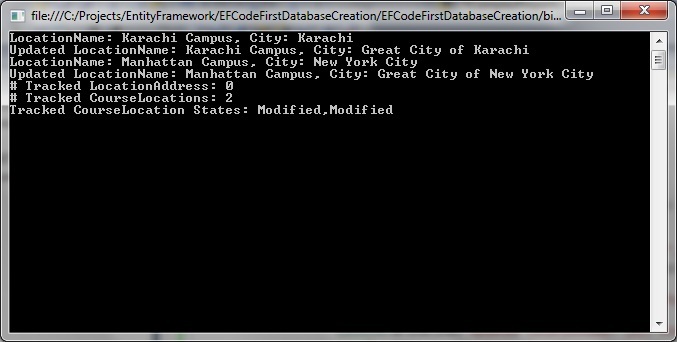 There are instances in which it is called implicitly by Entity Framework API. Since it would check all the entities of all types, for which change tracking is enabled, to verify if they have any changes in their data. If so, it changes their state as Modified. It helps the framework to push all the entities with Added, Modified and Detached states when SaveChanges() is called on DbContext. Here SaveChanges() is an implementation of UoW (Unit of Work) pattern descibed by Martin Fowler. 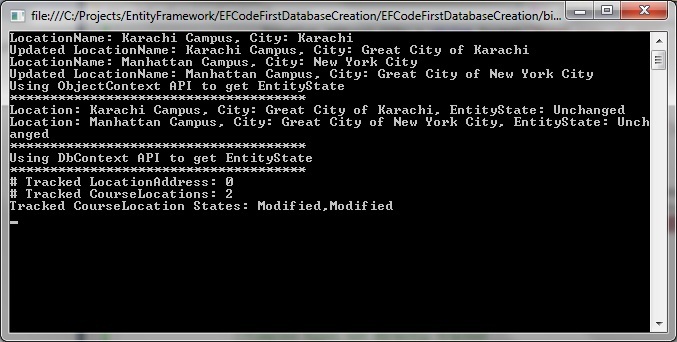 Entity Framework creates a snaphot of all entities data when they are loaded from Database. When it needs to save these entities to the database, it compares this snapshot of all entities to their current state. It then updates the database based on the state of these entities. It might add, update or delete the entities based on their states. Saving entities is the implementation of Unit of Work (UoW) pattern described by Martin Fowler. Since it uses the states of entities to perform the specific CRUD [CReate, Update, Delete] operation, the state must be updated before the entities are saved. In order to save developers, the EF implcitly updates the states before saving them, if required. This might be very costly if there are many changes to the entities. In order to optimize this, it is better to call DbContext.DetectChanges() when it is safe to do so. After pushing these changes to the database, another snapshot is taken which is used as OriginalValues of these entities. This is unlike ObjectContext API where only SaveChanges() would implicitly call DetectChanges(). In all other instances we need to manually call it if so desired. These are the main state transitions which you might expect in realistic scnenarios. There are a few other state transitions too which are not very realistic e.g. If an entity is added using DbSet.Add() and the entity is already existing then the state of the entity changes to Added. An entity is an object and it is semantically wrong. In a typical implementation, one would expect an exception in this case. Change tracking keeps an entity's state always updated. If we modify any property of an entity its state changes to Modified. 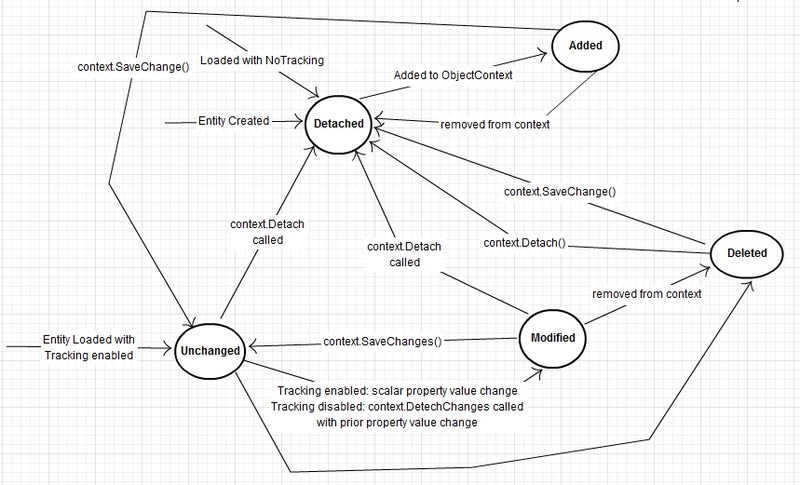 Let's see the effect of enabling / disabling the auto-detection of changes of entities. Let's execute the same code block under both conditions and see the effect of setting the auto-detection to an appropriate value. Here we are updating the DepartmentName of the first department found in the Departments entities collection and setting it to an updated value. We are using DbContext to get the original and updated value of the particular Department entity. Then we are printing the original and updated value of the Department entity along with the state information of these entities. The generic DbContext.Entry() method lets us get the DbEntityEntry object for a particular entity. This is the central type in DbContext API. Once we get it, we can access OriginalValues and CurrentValues properties. Both of them are of type DbPropertyValues. It is a collection of all the properties of an underlying entity or a complex object. Now we can use GetValue<T> method to get the value of any property by providing its name. Here we have enabled auto detection. As you can see updating Department's name updates the state of the entity as Modified. On the contrary, if we disable change tracking the state of an entity is not updated until it is caused. We can do that by calling DbContext.DetectChanges(). It is also implicitly called by EF when SaveChanges() is called. In the following example, we are disabling change tracking. You can see that, although, we can still see old and new values of different properties of an entity, it keeps its state as Unchanged. Note: As you can notice that, although the state of the entity is affected by updating the auto-detection but it's data seems to be reflecting the changes. This is due to the implicit call to DbContext.DetectChanges() by DbContext.Entry() as discussed above. In order to capture any changes with the data, Entity Framework has provided a comprehensive API around it. A number of types are provided. 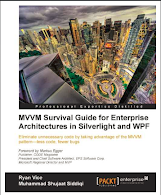 They are mostly in System.Data.Entity.Infrastructure namespace in EntityFramework assembly. The main type that you would mostly be needing is DbEntityEntry. It is available in both generic and non-generic flavors. Using the generic version saves us from a lot of typecasting later in the code. We can get the DbEntityEntry for any entry. It allows us to check the original values of the properties of an entity. It also provides the state of entity. As we discussed above that this state would depend on a number of factors i.e. wheter the change tracking is enabled or DbContext.DetectChanges() has been called. Now how to get DbEntityEntry for a particular entity. We seem to have a few options here. This is another option to get the DbEntityEntry for an entity. We generally use this when we are not holding on the the actual entity object. This also has its generic and non-generic versions but they are operationally different. The generic version provides DbEntityEntry objects for entities of a given type tracked by the DbContext. On the other hand the non-generic version provides them for ALL entities tracked by the system, which might not be needed most of the time. Additionally, the generic version returns the generic version of DbEntityEntry and non-generic version returns the non-generic one. In the following example, we are practically doing the same thing as the above example but we are getting the entries using DbContext.ChangeTracker. It is an IEnumerable so we can use an Iterator to play with individual values. Before there were humans in this planet we call earth, there used to be a completely different world. There used to be a different creatures, some of them we call as Dinosaurs. But somehow they got destroyed and a new world was created. New species came into being. Even if we don't indulge into the debate of evolution Vs Intelligent design then there has been continuous evolution of human thoughts. We are learning about various hidden secrets of the universe and helping others learn. Similarly, before DbContext API, there used to be ObjectContext API. For some reason the all-knowing Creator of the framework [Microsoft] decided to get rid of the older, more complicated ObjectContext world and hence new DbContext API was born. This is definitely an intelligent design but the new species are also evolving and you see different versions like 4.2, 4.3 and so on. The problem is that they can co-exist. There has been a door to go back in time using IObjectContextAdapter to get ObjectContext through DbContext and here the fun begins. Now we can use the features of both the world in the same space and time. ObjectContext API used to have a similar feature like DbEntityEntry, it was ObjectStateEntry. Don't be surprised if you find them in older code or see them co-exist with new DbContext API. But don't use them in any new code after you have release version of tools supporting DbContext API available unless there is any legitimate reason. Let's make some changes in the properties of a complex type for an entity and see how this affects the state of the entity itself. We can not check the state of a complex type directly using DbContext.Entries() or DbChangeTracker.Entries() as DbContext.ChangeTracker.Entries(). Now you can verify that when we get the states using ObjectContext API, it shows them as UnChanged. This is because ObjectContext API does not implicitly call DetectChanges(). But when we use DbContext API, it shows as Modified, which proves our point. We can also use ComplexProperty method of DbEntityEntry to get the changes in complex property.